Every year at Mobile World Congress there is a lot of hype, brand noise and people with over 100,000 in Barcelona this year for MWC2016 at the world’s biggest mobile get together. 1. The next big thing. As one walks through vast halls of the latest tech and devices from established brands such as Samsung, HTC and others there are still 8 more halls filled with mobile brands and global manufacturers most people have never heard of and probably never will. Blackberry once a huge draw at MWC have been a casualty in recent years. There will be many more heading that way in a race to the bottom with many simply offering a commodity, with very little differentiation (unlike Oppo – see below), easily replicated at cheaper prices. Blackberry at least owned something with their own OS, many new devices built on Android with a “better camera” won’t cut it and many more failures to come. Four Years From Now (4YFN) is the start-up element of MWC2016, housed at the old conference facility MWC is too big for. This event housed start-ups from all over the world. Appsafrica.com were kindly invited to join a panel with many start-ups pitching their ideas. While some great ideas were communicated, one over-riding theme became clear, a distinct lack of African involvement and very little presence of African start-ups. Visas, travel and costs are all possible answers but more needs to be done to put the African start-ups on the global map at the worlds biggest mobile event. Lets see what Africa can do one year from now? 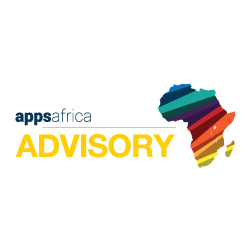 Appsafrica Advisory develops strategies and drives expansion for companies entering or expanding in Sub-Saharan Africa. We are a private advisory service providing expert insight, business development and implementation assistance for mobile web and technology ventures.